If your level of cellular inflammation is high, the body begins attacking itself. If it is too low, then your body can’t fight off microbial invaders effectively. You need to keep the body’s level of cellular inflammation in a zone. Elevated levels of cellular inflammation are the underlying cause of why we gain weight, develop chronic disease, and age at a faster rate. 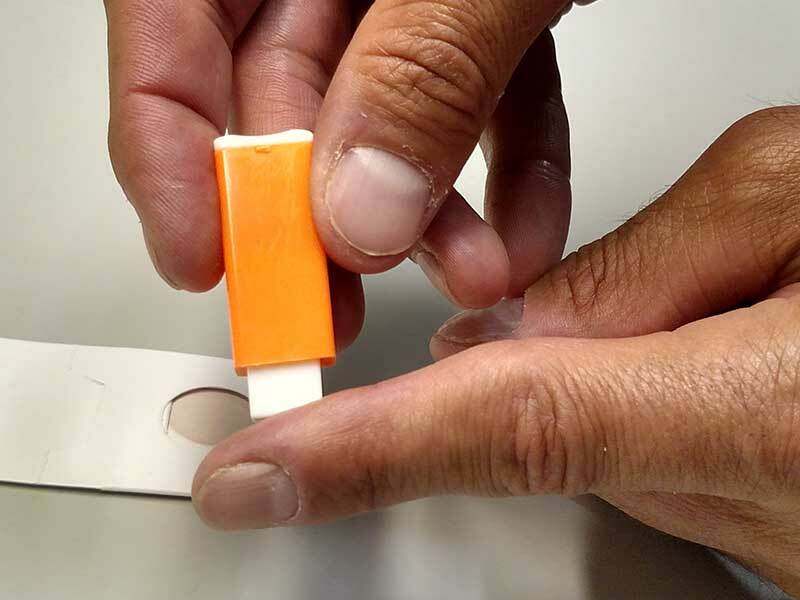 This simple finger-stick blood test measures the levels of two key fatty acids in the blood, Arachidonic Acid (AA) an omega-6 fatty acid and Eicosapentaenoic Acid (EPA), an omega-3 fatty acid. The average American has a score of approximately 20 but to be considered well Dr. Barry Sears recommends you be between 1.5 and 3. Don’t guess about cellular inflammation. Taking a painless fingertip blood test is the only way to know if you have high levels of cellular inflammation. 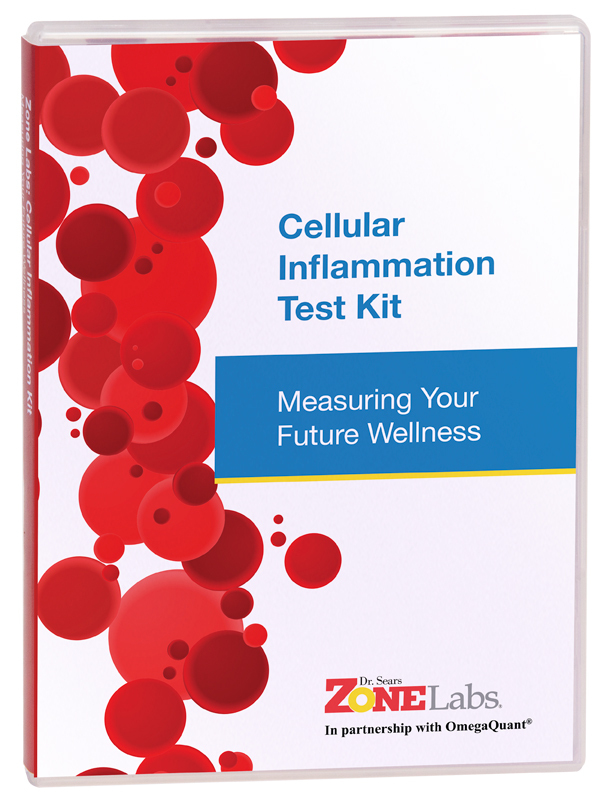 Order the Test – Find out with certainty if you have high levels of cellular inflammation. Take the Test – Follow the simple directions in the kit or follow along on this video. Then mail your blood sample to our certified testing laboratory in the included postage-paid mailer. 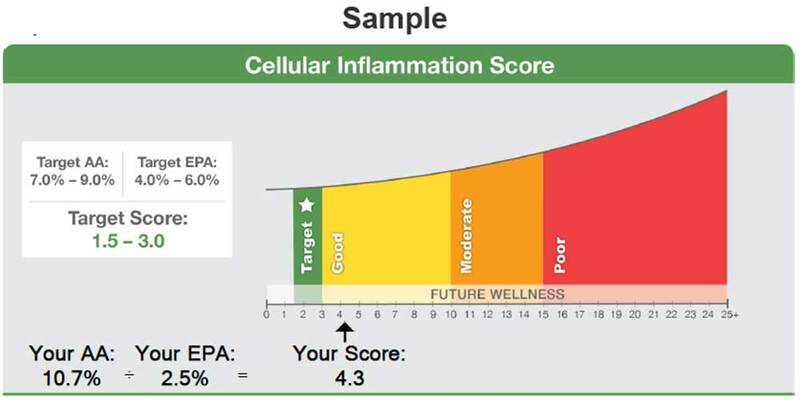 Get Your Results – Within one to two weeks, you should receive your results from the lab with your Cellular Inflammation Score and AA/EPA blood levels. Take Action – Results from the Cellular Inflammation Blood Test will help you know the proper amount of Omega-3 Fish Oil to supplement with your diet, based on your AA/EPA ratio. Follow the personalized guidelines enclosed with your results to start making immediate changes in your life! Test available in U.S. and internationally. However, New York state law prohibits the distribution of blood testing kits from Zone Labs. Therefore we are unable to process Internet orders from customers in New York at this time. 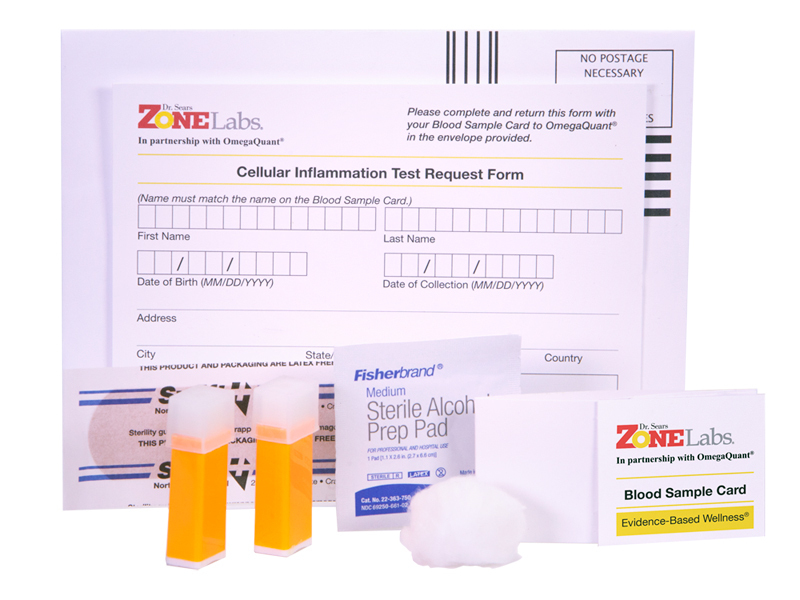 Due to safety standards associated with medical products, the Zone Labs Cellular Inflammation Test Kit is exempt from our 30-day return policy. We all desire to have a clinical marker of our future state of wellness. It is my opinion that the AA/EPA ratio in the blood is the best marker of that elusive goal because it measures the level of cellular inflammation in the body. Cellular inflammation is the type of inflammation that is below the perception of pain. What it does is disrupt hormonal signaling at the cellular levels that leads to increased fat accumulation, acceleration of the development of chronic disease, and decreased physical performance. You can’t feel cellular inflammation, but you can measure it. The only way to measure cellular inflammation is by testing the ratio of two essential fatty acids (AA and EPA) in your blood. The AA/EPA ratio is an indication of the levels of cellular inflammation in your body. High levels of cellular inflammation does not mean you have a disease state, but it does indicate that you are not as well as you could be. Your future state of wellness can be determined by the levels of cellular inflammation in the blood as shown below. The higher your levels of cellular inflammation, the more likely the future development of chronic disease will be accelerated. A recent study from Italy has demonstrated that the AA/EPA ratio is always greater than 15 in patients with chronic diseases (1). There are no drugs that can change the AA/EPA ratio. This is because the AA/EPA ratio is a consequence of the diet. One method of lowering the AA/EPA ratio is to increase the intake of high-purity omega-3 fatty acid concentrates rich in EPA. This will increase the EPA content in the blood (2). This represents the fastest way to reduce the AA/EPA ratio. However, the best long-term method is to reduce the AA levels in the blood. This is best achieved by following a strict anti-inflammatory diet, such as the Zone Diet (3-5). The Zone diet was designed to reduce elevated levels of both insulin and omega-6 fatty acids so that the production of AA is significantly reduced. The combination of an anti-inflammatory diet coupled with high-purity omega-3 concentrations represents the most powerful dietary approach to reach and maintain a low level of cellular inflammation for a lifetime. How much EPA and DHA do I have to take to reduce the AA/EPA ratio? A recent dose-response study in healthy women who had a high risk for potential breast cancer has provided supplementation guidelines for reduction of the AA/EPA ratio (5). This data indicates that a daily dosage of EPA and DHA of 2.5 grams was sufficient to bring the AA/EPA ratio into the desired range for excellent wellness for these healthy individuals. This level of EPA and DHA recommendation correlates well with an Italian study that demonstrated in patients with various chronic diseases having an elevated AA/EPA ratio (>15) lowered their elevated AA/EPA ratio to approximately 5 with daily supplementation of 2.5 grams of EPA and DHA (1). This is also indicative that a person with an existing chronic disease may need greater amounts of EPA and DHA to get them into an excellent wellness range compared to a healthy individual. However, these are only general guidelines for daily EPA and DHA supplementation. The best indication of the amount of EPA and DHA required to optimize the AA/EPA ratio for an individual is best determined with blood testing every six to twelve months. The benefits of reduction of the AA/EPA ratio. The JELIS study was one of the largest cardiovascular studies ever done using more than 18,000 subjects with elevated cholesterol levels. When these subjects were given high doses of EPA (1.8 grams of EPA per day), their average AA/EPA ratio decreased from 1.6 to 0.8. This reduction in the AA/EPA ratio was associated with an additional 19% reduction in cardiovascular events during the next four and half years (7). Until there is more data, I do not believe it prudent to reduce the AA/EPA ratio to less than 1.5 even through significant cardiovascular benefits do occur at lower AA/EPA ratios in patients with elevated cholesterol levels as demonstrated in the JELIS study. this is my first time ordering your test kit. I just received my test results and I’ll admit I was a little nervous as I may have ended up on the naughty list a bit too often. Did someone say COOKIES!!!! Anyhooo, clearly I had nothing to worry about, having found myself taking my fish oils (4) much more regularly, and as a result an EPA if 4.7%, up from 3.8%. I stopped eating mammals and saw my AA drop from 12.6% to 10.8%. My total score 2.3 vs. 3.3 a year ago! Clearly something good is happening!!! Will next try cutting back on eggs. I really love this aspect of the zone – that the results are so measurable. I’ve found The Fatty Acid Profile Report, that’s available in addition to the AA and EPA levels report, useful in fine-tuning the Zone Diet. 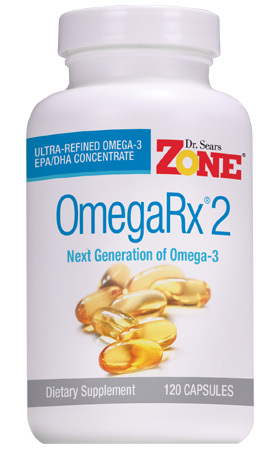 It gives the LA, GLA, DGLA, and AA levels which help tract the production of AA; the EPA and DHA and DPA levels which reflect the effect of your Fish Oil supplement; and the Monounsaturated, Saturated, and Trans Fatty Acid levels, which when added to the Polyunsaturated Omega-3 and Omega-6 levels, reflect the effects of any changes I make to my diet on my fatty acid levels. I get the test every year to supplement my annual doctor’s office blood test to help adjust my diet to attain your suggested levels for wellness. That’s a lot of very helpful information for just $75. I would recommend this test to ANYONE wishing to measure inflammation. The people who explain the results are very helpful. After trying one, we ordered two more for two other people! A relatively inexpensive way to determine your health. I’m going to do another in a few months. Do you offer discount for family testing with several dealing with severe data stew for years. Need 6 kits to start and how often to repeat. Wife and I will lan to attend next crucial event. We have used the test kit three times (to date) for our son with TBI and my wife, myself and our other son have also taken initial tests are we are all now taking OmegaRx2 on a daily basis. We believe the tests have been timely and accurate and we will continue to use them as we work towards better inflammation.